Even though I am a mom I still want to be Stylish ! With ChicBuds I can do that ! They work great with my MP3 player ! 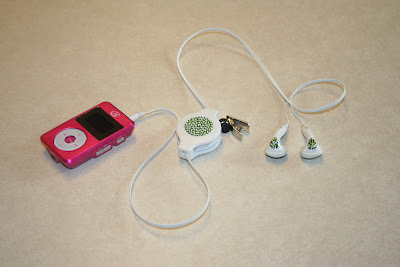 ChicBuds earphones are compatible with the iPod, iPhone, MP3 player, CD player, airplane connectors… basically any listening device. ChicBuds have a built-in retractor so that the cords will not tangle. ChicBuds retractor will allow for 5 stopping points so you can adjust the length. ChicBuds has nearly 100 Swarovski crystal pieces. They have a fastening clip so the cord doesn't bounce around... and you can clip it on the side of your purse so you don't lose them. They are perfect for working out (no tangled cords, adjustable cord length and fastening clip) and they are great for traveling. ChicBuds has offered my readers a chance to win their own Chickbuds in their choice of sour apple, grape, marshmallow or blueberry. First Entry (Mandatory): Visit ChicBuds , then come back here and leave a comment telling me which ChickBud is your favorite. Extra Entries - # 1 (REQUIRED ENTRY) must be done first. Leave a comment for each one done. 2. Sign up for ChickMail . 3. Follow ChicBuds , Chicblvd & Me on Twitter. 5. Post on your blog about this and link back to ChicBuds & Me ! *If entries do not follow rules, they will be deleted ! *One winner will be chosen! * Contest ends at 11:59pm CST on Sunday January 4,2009. If the prize is not claimed in 48 hours a new winner will be chosen. *The winner will be announced on my blog (and emailed) Monday January 5,2009. The sour apple is my favorite. Thanks for the giveaway! I signed up for chickmail. I love the violet luv buds! I would like Sour Apple. I love the Star Power ChicBuds. I think these are really cool and would love to win them for my niece. Thanks! I like the chicks dig me ones. I would give them to Hubby. I like the Marshmallow ones!! Thanks!! This is a wonderful contest. Thank you for hosting it. I would love to have the watermelon buds. Thanks again!! The chicBuds in blueberry is my favorite! Sour apple is my favorite. The white/watermelon one is my favorite! Thanks! I've signed up for chickmail! Thanks! I follow all on Twitter already! Thanks! I would love to win these and my favorite is the Violet Love Buds. Merry Christmas To ALL! I love the white Chickbuds in blueberry. I love the Watermelon chicBuds! too cute! I like the Marshmallo ones. Thanks! My favorite is the Black chicBuds Limited Edition Cross. The Watermelon chicBuds are my absolute fave! The black earphones with sour apple crystals are my favorite. I really liked the desiner series, the Blue-Raspberry Swirl White ones. Thank you so much for this giveaway. I really like the Marshmellow one the best. Thanks and please enter me. The grape would be my favorite. Thanks! I like the white/grape chicbuds the most. I love the black/watermelon chicbuds! They are so cute!! I follow you! Thanks for all the great reviews/giveaways! i'd choose the violet luv buds. I like the black chicbuds with marshamallow crystals. I'm signed up for ChickMail. I'm following all three on Twitter. I love the blueberry chic buds. Great purple --grape is my pick. I like the black with blueberry. So pretty. I would love the blueberry ones. black chic buds with blueberry - love 'em! I like the blueberry Chicbuds.. Thanks for the contest . 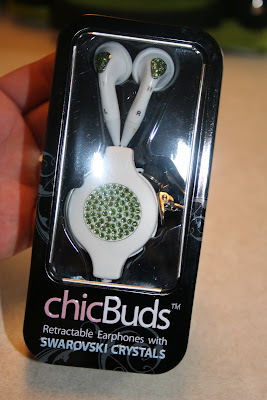 My favorite ChicBuds earpiece is in the color Marshmallow. I like the grape sorbet ones. I'd go with the chicBuds Earphones: White/Grape. It would match my purple ipod! I am already signed up for ChickMail. I follow everyone on Twitter, coriwestphal. I twittered the post, coriwestphal. I also now follow your blog. Thanks! I like the blueberry. Thanks for the giveaway. I would pick the sour apple. I really want some bling earbuds. I like the blueberry. I like the blueberry. what girl doesn't like everything sparkly. Thanks! I would love to bling out with the blueberry ChicBuds! I would like the Marshmellow ones. Black with Watermelon is my favorite. My favorites on the Chic Bud site are the "Blue-Raspberry Swirl Black". My favorite color if I win would be blueberry. Thanks! I've fallen for the black/blueberry ChicBuds. The Marshmallow Chic buds are my favorite! I love the blueberry chicbuds! I love the Sour Apple ChicBuds! They'd go great with all of my green stuff! I love the grape in white! I like the Marshmallow chicbuds the best. Thanks! Christina - xristya@rock.com - I like the Watermelon Buds - quite wonderful! The Black Star Power chicBuds are so cute! Black with Blueberry are my favorites. Thanks for the contest! I like the Black chicBuds Earphones !!!! December 24, 2008 at 1:28 AM This comment has been removed by the author. I like the black with the marshmellow crystals. What a great giveaway. Would love to win the grape ones! Thanks and Happy Holidays. The purple ones have my attention. I love the retractor part. I love the grape ones! I follow ChicBuds , Chicblvd and you as janetfaye. I would like you have the white ones with blueberry! I love the blueberry ones! I like the Designer Series chicBuds in White/Blue-Raspberry Swirl. I would like the star power buds. I love the white/blueberry buds. I like the white/watermelon chicbuds. I love Black with Watermelon! I just signed up for ChicMail. Looking forward to receiving it! 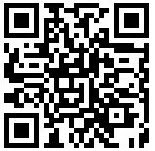 Already following ChicBuds and ChicBlvd on Twitter, and just added you! My name there is LadyJemima. I'd choose the black with sour apple. I like the white with blueberry! I followed you all on Twitter. The Sour Apple is my favorite. The Marshmallow ones are my fave! Thanks for the chance!!!! I prefer the blueberry. email is in my profile. My favorite ChicBuds is the White Breast Cancer Awareness! My favorite chicbuds is the grape sorbet and blacke. I love the leopard print! I like the sour apple ones. The chicBuds Blueberry are my favorite, they match my eyes. Thanks for the giveaway. Ohhh pretty sparkly things!! I love the Watermelon ones! I have signed up for chickmail! Twitter Following Chicbuds, Chicblvd & Me! I have blogged here is the link; including "enclosure link" and link within back to ya! Much success is wished for you in 2009! Count me in for the Sour Apple ones! Happy New Year! I hope to win. love to win the marshmellow ones!! The Marshmellow chicbuds are my favorite. I like the Lover's Edition limited edition. My daughter would like the blue raspberry swirl white. She found this giveaway and didn't think a 13 year old could enter, so i am doing it for her. I would love these for my daughter. They are soooo cute. I like the blueberry best. I like the Sour Apple. The marshmallow looks like diamonds! !